Hong Kong is a fantastic city to explore and has a good variety of different things to see and do. 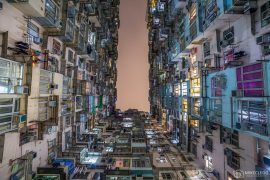 Here are 12 top things to see and do in Hong Kong, including temples, viewpoints and cool parts of the city. 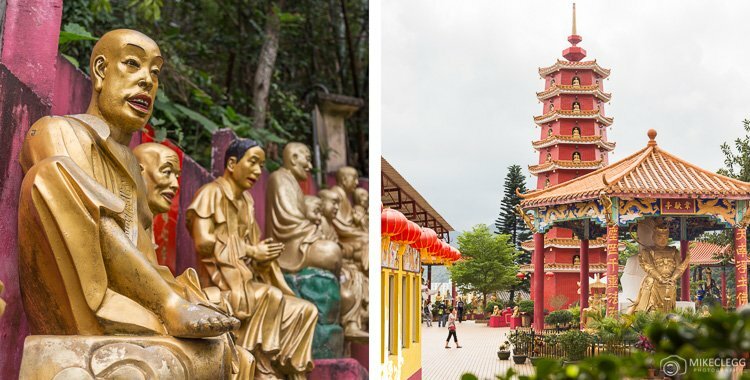 The Ten Thousand Buddhas Monastery is a beautiful Buddhist monastery located in north Hong Kong. The Monastery has been built up a mountain and getting there involves a long walk up a windy path. As you walk up you’ll see hundreds of Buddha statues placed either side, each with a different expression and pose. The Monastery complex consists of five temples, a beautiful pagoda, four pavilions, a veranda providing views from the mountain. 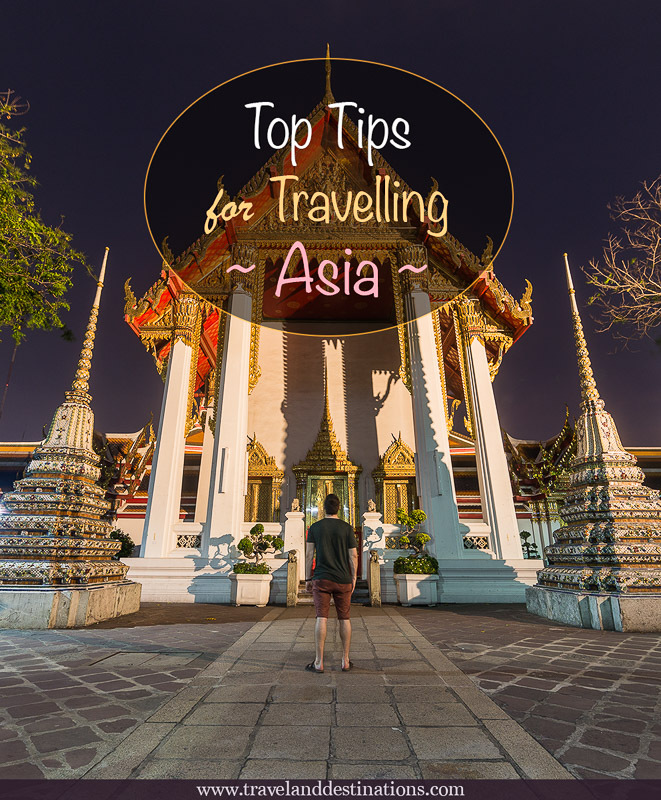 The main temple is the Ten Thousand Buddhas Temple which has 12,800 Buddha statues lining the walls. Similar to the ones you see on the path they all have slightly different postures. 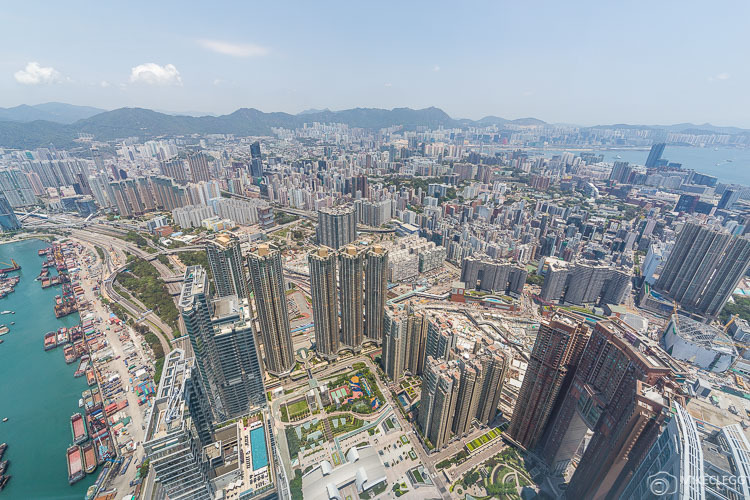 The Sky100 Observation Deck in the ICC building provides visitors a fantastic bird’s eye view of Hong Kong. 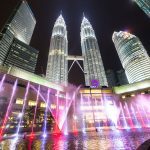 The observation deck is located on the 100th floor, 393 metres above sea level. From the deck, you get panoramic views in all directions around Hong Kong. During my visit I preferred the viewpoint to the north away from Hong Kong Harbour. I felt this angle allowed you to grasp just how dense the city is. If you have time on your side it’s worth heading up around sunset, where you may catch beautiful light and colours, and see the evening lights come on. On Lantau Island to the west of central Hong Kong is the Po Lin Monastery and Tian Tan Buddha (Big Buddha). This monastery is over 100 years old and one of the most important in the region. 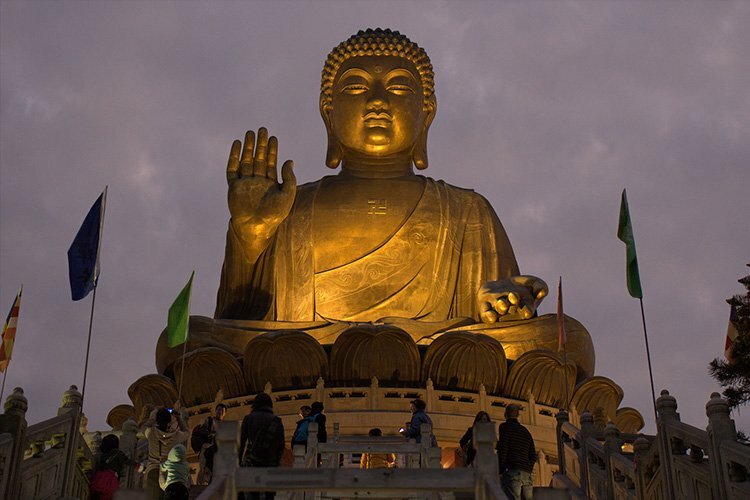 It is highly popular, partly due to the Tian Tan Buddha (Big Buddha) which was completed in 1993. The statue is one of the world’s biggest sitting outdoor Buddha statues at an impressive 34 metres high. From the top of the steps leading up to the Buddha statue, you will also be able to admire the beautiful surrounding landscape and ocean views, which may give you a nice break from the main city. The Monastery is quite far from central Hong Kong, so if you are coming from that direction it may take a while. So for that reason, I would suggest visiting for more of a day out. 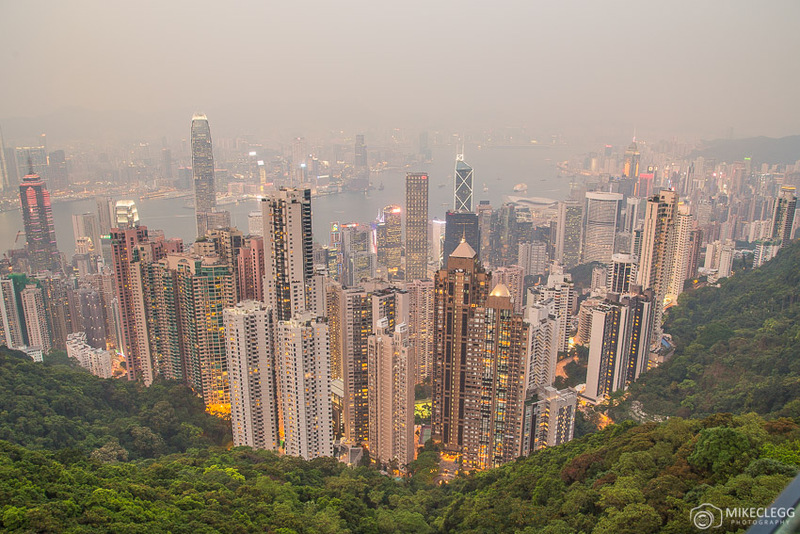 One of Hong Kong’s top attractions is the Peak Experience. This involves catching the Peak Tram, which is one of the world’s oldest funicular railways, up a steep track to the Peak Tower. This tower is located on Victoria Gap close to Victoria Peak at 396 metres above sea level. Once at the top, you then head to Sky Terrace 428 where you’ll be able to enjoy beautiful postcard views of the city. 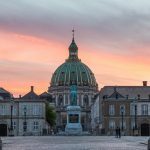 The view from the terrace is fantastic both day and night, but if you are only able to visit once I recommend catching the tram a few hours before sunset, allowing you to enjoy the skyline from sunset into the evening. 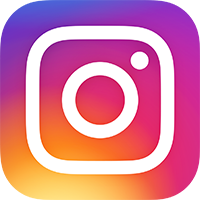 Also at the Peak Tower are a range of shops and restaurants and various other attractions such as The Peak Tram Historical Gallery, Madame Tussauds and a Madness 3D Adventure. The Aqua Luna is that typical red-sailed boat that you may have seen in many pictures. There are various cruises available such as an afternoon discovery tour, evening tour and Symphony of Lights cruise. From the boat, you would get some fantastic perspectives of the city. To find out more head to the website below. This is something I tried to see but during my trip, there was some renovation/construction work so it was closed off. 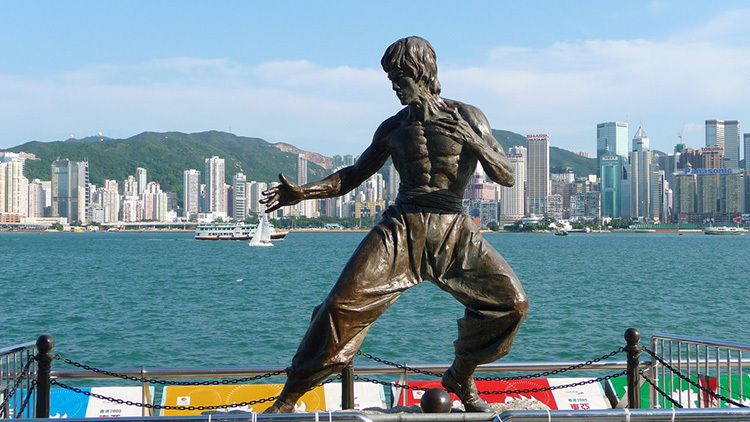 The avenue is located along the Kowloon waterfront and has various statues and handprint plaques of famous celebrities. It would also be a great spot to enjoy the cities waterfront and take skyline photographs. I discovered this street by accident and I’m glad I did. 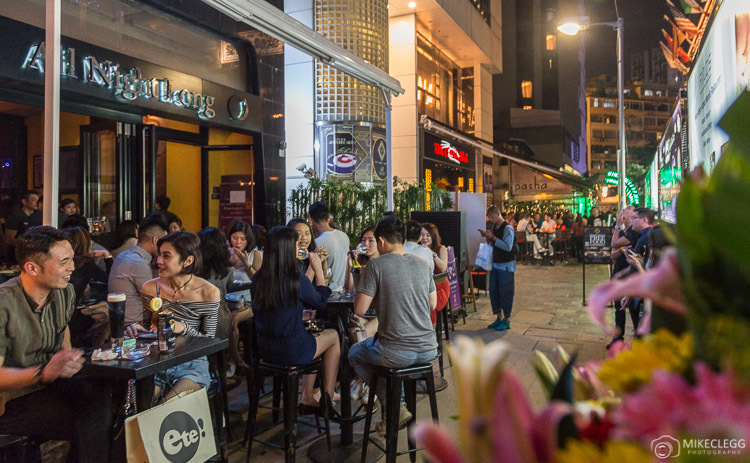 It had a great vibe with lots of bars lining the streets. The prices for alcohol weren’t particularly cheap, but that’s Hong Kong for you. 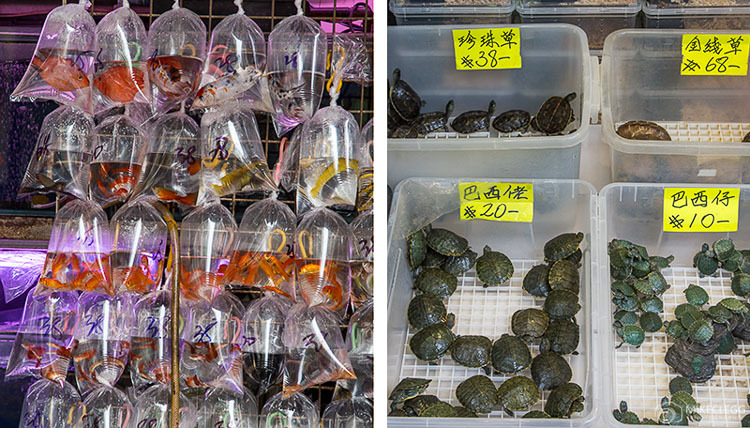 Goldfish Market is a bit like a street full of pet stores, although the main things on sale are fish and other aquatic animals, including frogs, turtles. It’s quite interesting walking along this street, and if you’re not from Asia the chances are you’ll see something you’ve never seen before. The public Pier at south Kowloon provides awesome views towards Hong Kong Island. There is a good amount of seating too, making it a great place to go and relax in the evening or around sunset. For the kids, Hong Kong Disneyland would be a great day out. The park is located on Lantau Island and is easily reachable using the MTR (metro). For those with a head for heights, then head up to OZONE bar at the Ritz Carlton. This bar is located on floor 118 of the International Commerce Centre (ICC), and will provide some of the best views of the city, whilst you sip a tasty cocktail or enjoy some good food. 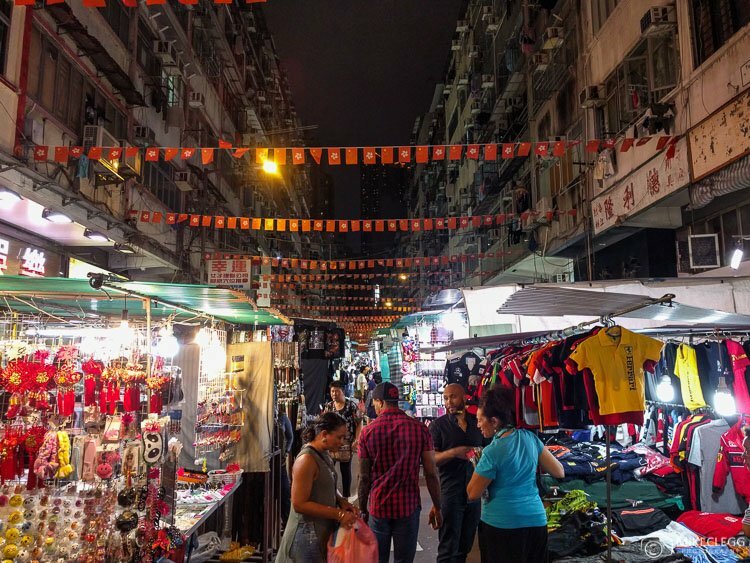 I was impressed by this night market which stretches quite far along Temple street and has local items, such as paintings and gifts, as well as clothing, electronics and many more items. Nearby you’ll find lots of street food type restaurants too. For other things to see and do around Hong Kong head to www.discoverhongkong.com. Need a hotel in Hong Kong? Start your search below. 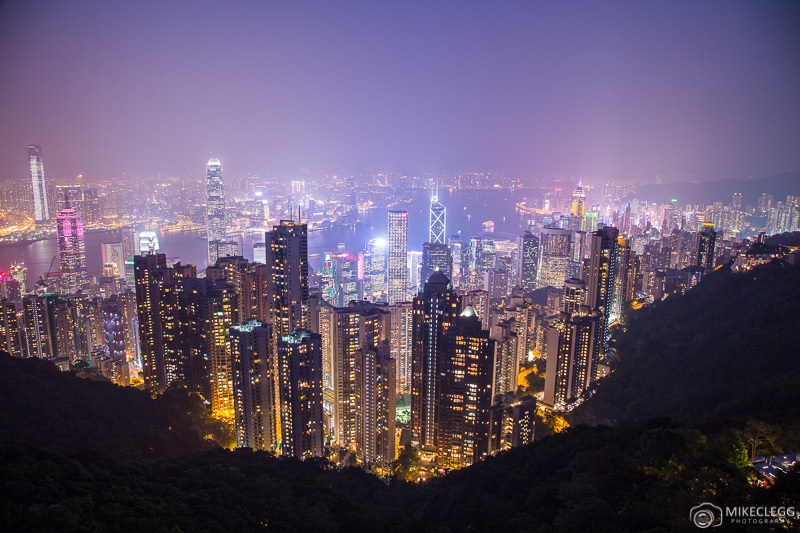 Hey Buddy!, I found this information for you: "12 Top Things to See and Do in Hong Kong". 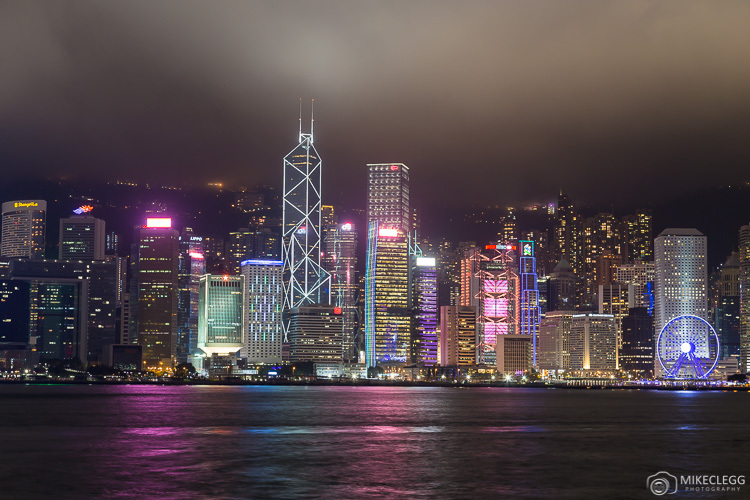 Here is the website link: https://www.travelanddestinations.com/top-things-to-see-and-do-in-hong-kong/. Thank you.